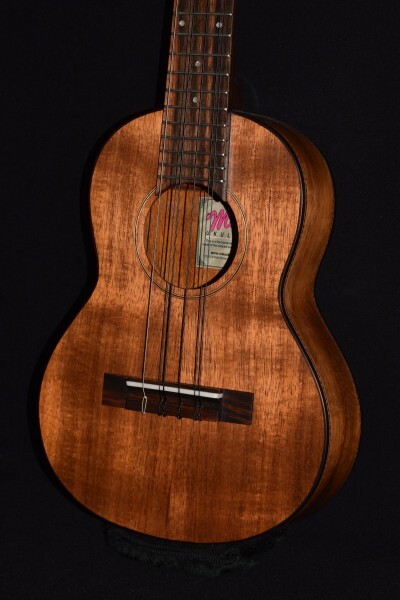 The 6-string tenor uke is a very versatile performer; full, ringing tone for strumming but also great for picking. 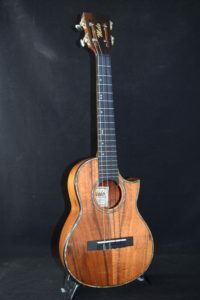 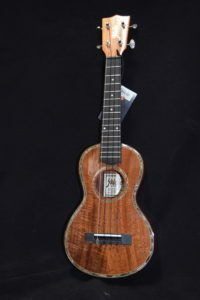 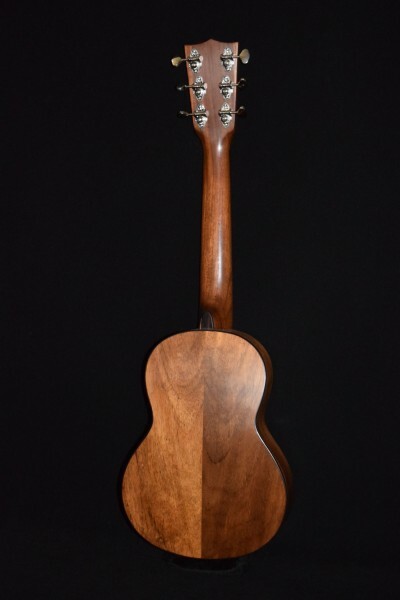 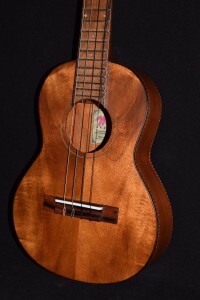 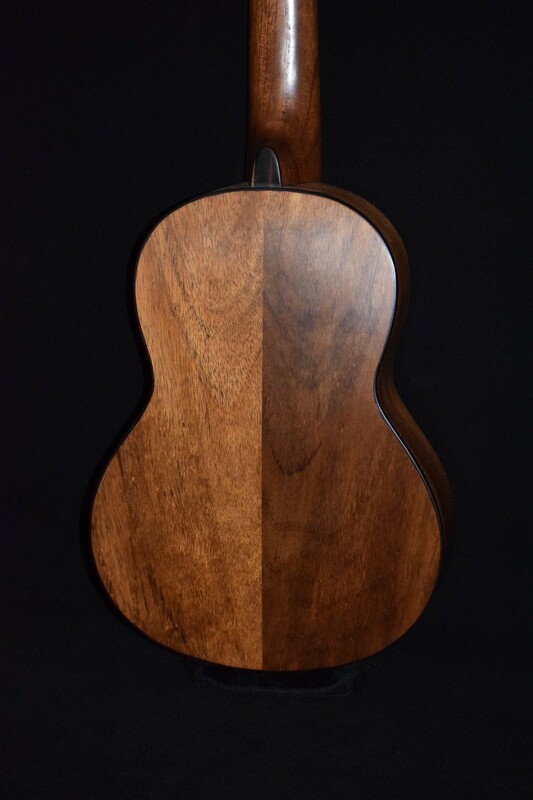 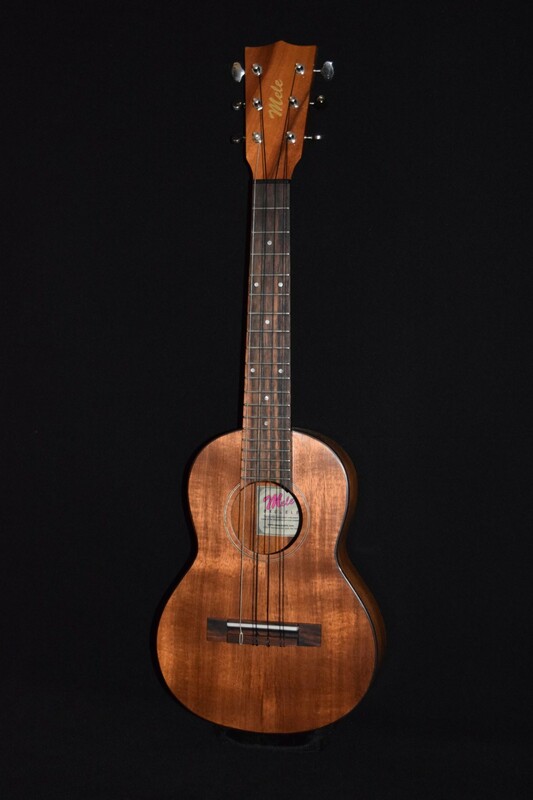 Entirely handmade of genuine Big Island koa wood. 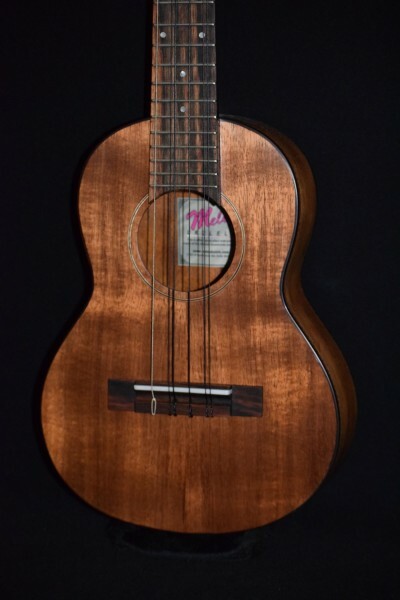 Steel-reinforced mahogany neck. 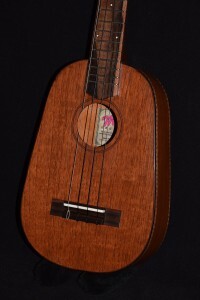 Same great features as the tenor 4, but with 2 extra strings; the “C” (in octaves) and the “A” strings are doubled. Note the beautiful genuine ebony binding, fingerboard and bridge!